the widespread decimation of their plantings by the Phylloxera pest earlier on. have gradually adapted to thrive in the near-drought climate of summertime. thereby encouraging the fruit to plump up, reaching full maturity before harvest. satisfying alone as a well-chilled apéritif offering with chocolates! oysters, crab, mussels, grilled fish or rich cheeses and charcuterie. 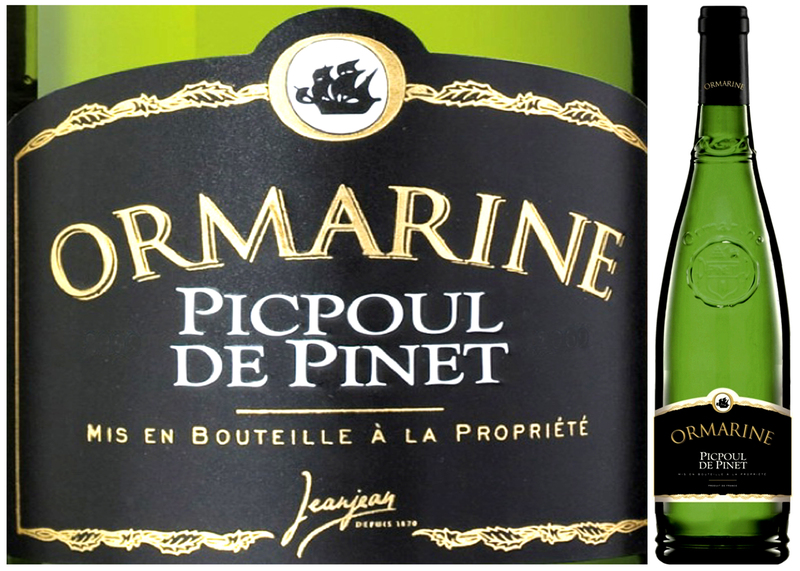 This entry was posted in White Wine and tagged La Cave de l’Ormarine, Ormarine, Picpoul de Pinet by Stephan Droege. Bookmark the permalink.